The Museum the Anthropology (MOA) may conjure up ideas of tall ceilings, magnificent house posts and world-renowned art installations. Marie Wustner, MOA’s new curator of public programming has an additional vision: of bonfires, beer and live music in the Haida House. Sound House, a new event series curated by Wustner, is bringing musicians and performers around to the back of the museum where the house designed by Bill Reid sits. Wustner is also working with students to create the programming, helping to further ensure that the performers will attract student interest. The first Sound House event is on February 7, and will be kicking off with a line-up of local Afro-Cuban beats artists. Kutapira will be the first to grace the stage, with their five-piece percussion ensemble that blends sounds from Zimbabwe and West Africa. The night will then turn to the brassy sounds of Camaro 67, a 10-piece funk band. “The bands are really excited about it, and that’s what gets me really pumped because when the artists are excited about the concept, they bring a really strong energy to the crowd,” Wustner said. This first evening has already sold out all 100 tickets, so getting into this exclusive event may prove difficult this time around. But Sound House already has three other dates scheduled: March 7, April 4 and May 2. And while Wustner can’t announce the future lineups just yet, she was able to give one hint for the next event. 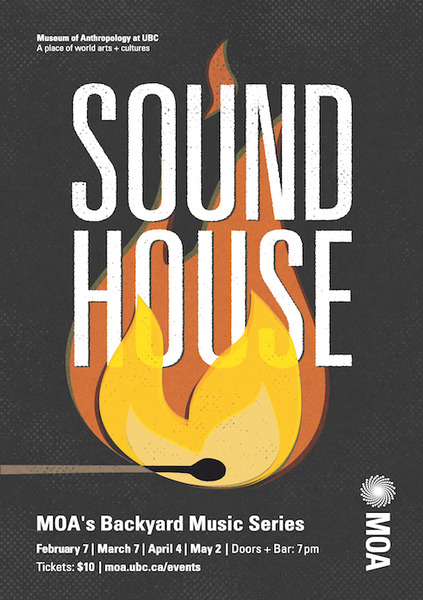 At its core, the goal for Sound House is to bring people from across the university together.